When the Court of Arbitration for Sport gets involved with the Russian lower leagues, you know it is serious. Last Friday evening, a case was settled regarding the payments of salaries made to three FC Tyumen players while the club were still in the third-tier PFL Ural Povolzhe division, with the upshot being a six-point penalty being enforced by the Russian Football Union with immediate effect. 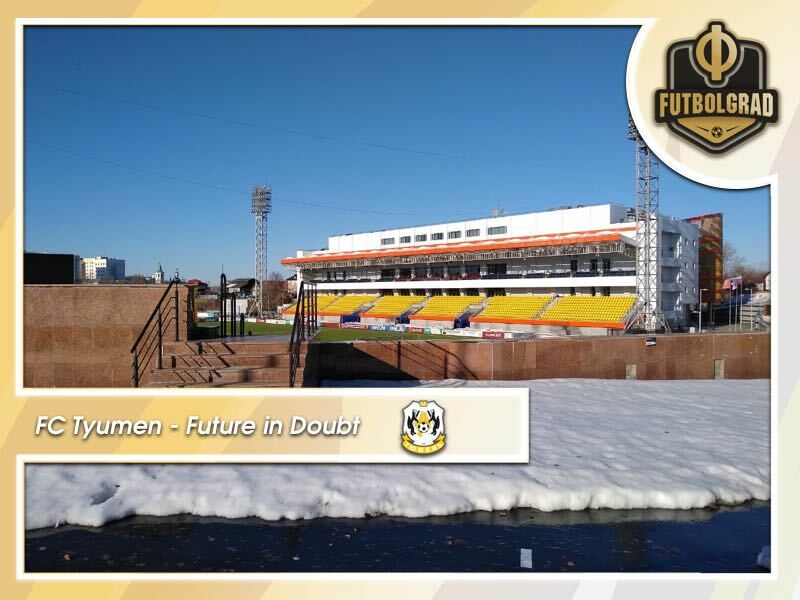 With Tyumen already five points from safety in this season’s second-tier FNL before the ruling – having only escaped relegation last summer thanks to other clubs going out of business or refusing promotion – it has all but condemned the Western Siberian club to the regional abyss. The case centres around three players in particular who all played during the 2013/14 season; centre-back Nikita Fursin, winger Marat Shaymordanov and defender Sergey Shumeyko. In Russia, just as in many less heralded leagues across Europe, there is an underhand and highly illegal practice of paying two separate sources of income. The declared income that is entered officially into the books is known as a ‘white salary’, but an unofficial ‘black salary’ is paid to induce potential arrivals to sign for an otherwise unpopular club. Shaymordanov and Shumeyko arrived in Tyumen in the summer of 2013, while Fursin was already a fixture in defence having signed the summer before. A 20-year-old Shumeyko had followed manager Konstantin Galkin from Volga Ulyanovsk, who turned out to be FC Tyumen’s direct promotion rivals in the 2013/14 season, while Shaymordanov joined from another of Galkin’s former clubs, Chelyabinsk. Needless to say, all three had signed regular contracts, but crucially also personal agreements with Galkin himself, unbeknownst to the club directors. When the club refused to comply, they took their arguments to Lausanne. Already the affair is murky, but there are many reasons why the case is mired in controversy. Firstly, the amounts stated were vastly inflated according to the findings of the case. The precise amounts are unconfirmed, but when one considers that top earners in the FNL claim around $3,000 a month, and FC Tyumen were in the tier below at the time, it is not hard to see how the offer for above average salaries was a tempting prospect. Then there was the signatories on the paperwork itself. Club president Aleksandr Popov – who is also president of the city’s hugely successful futsal club that have made it to the Russian Cup final this season, and the hockey team that finished second in the VHL standings – has not formally commented. However, he is believed to be claiming no knowledge at the time of the agreements in question, with the club represented on the paperwork by the signature of a certain Mr. K. Galkin. Most damaging of all though, they claim to have not been paid five years later. It would be extremely unusual at best, and downright suspicious at worst, for an entirely new employee of the club to be authorising contracts independently, however vital the figure was to a club. Popov’s alleged position may appear like a man looking to cover his back, but it is worth remembering Galkin’s history in the game. After leading the club to a stunning Russian Cup victory over Zenit St. Petersburg in October 2013, and the promotion at the end of the season, he helped secure the signing of Brazilian playmaker Cleyton. It was clear from the off that the new arrival was a class above the league he had joined, and after a season of magic, he returned to his homeland where he flitted around six different clubs. When the Futbolgrad Network asked Galkin at the time how he had managed to attract Cleyton to Siberia in the first place, he explained that he had a lot of connections through his history in futsal coaching. A decade ago the Russian futsal league was awash with Brazilians, many of whom became naturalised Russian citizens, and Galkin had kept up his obscure connections to pull off what seemed at the time to be a masterstroke. There was no suggestion of impropriety at the time around Cleyton’s signature, even if eyebrows were raised. His wife, after all, has Ukrainian heritage. Around the same time he arrived, though, goalkeeper Renat Sokolov was signed from Volga Ulyanovsk, who had lost out to Tyumen in the tense promotion push. A tall, aggressive keeper, Sokolov was a popular and vocal member of the team but made increasingly concerning mistakes. It transpired that ahead of the match away to Anzhi Makhachkala in October 2015, Sokolov and Galkin were approached to fix the result. After entering the last 15 minutes level at 1-1, two late goals were conceded in farcical fashion. Club legend and captain Khasan Mamtov was so incensed he punched Sokolov in the face after the match, such was the apparent intent. His contract was terminated immediately, while Galkin was also relieved of his duties for his involvement. Popov told Galkin he never wanted to see him again, but the club themselves avoided sanction. What makes the case of Shaymordanov and Shumeyko all the more curious is that neither came anywhere near a regular starting place. Squads are routinely gutted and revamped every six months in Russian football; the three-month winter break offers many teams a chance to take trialists on board during winter training camps, while the end-of-season breaks in the summer are a natural window to boost numbers. Such is the frenetic pace of the revolving door at almost every club; there can be a few signings that clearly don’t fit. In this sense, those latter two signings are not suspicious in themselves in the context of their lack of quality. Recruitment opportunities are rare given the stringent budgets clubs have, so errors of judgement are understandable. Tyumen are now left peering over the precipice. On Saturday they were cruelly robbed of a precious three points with a 90th-minute free-kick routine from second-in-the-table Tom Tomsk. 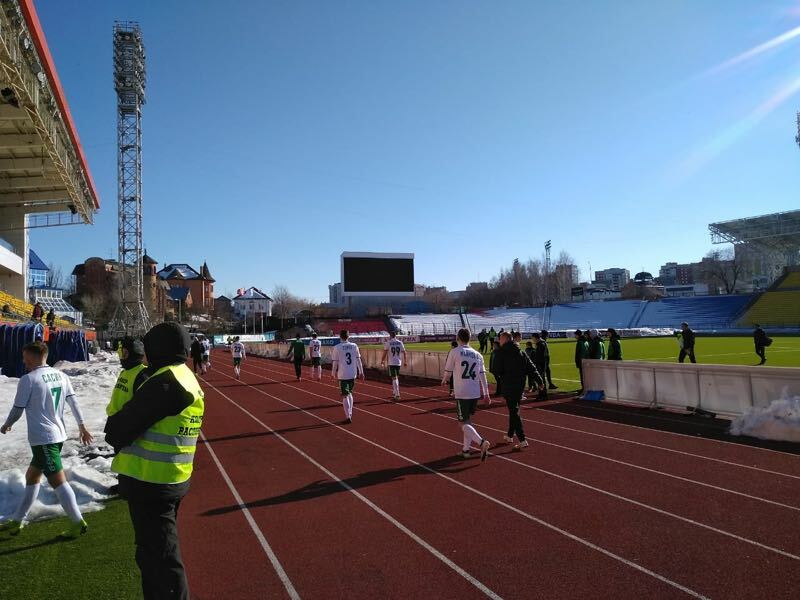 After Baltika Kaliningrad’s injury-time winner in their World Cup stadium, the Tomsk defeat leaves them 14 points from safety with just nine games remaining. They had controlled the entire game with an innovative 5-2-3 formation but simply couldn’t finish their chances. Ironically, market forces had seen Mamtov leave for a better salary in the top flight. His brief sojourn at Anzhi was cut short by an even better financial package offered by Gazprom-backed Orenburg back in the FNL. His predatory instincts on the pitch and clean moral code off it are exactly what Tyumen need. Instead, they are staring at the horrifying prospect of regional football next season. The last time they were relegated to the third tier, they disbanded their first team within four years and were on the verge of folding altogether. It is hard to imagine the oil capital of Russia with a population pushing a million failing to sustain a professional football team. Then again, betting on any football matters in Russia is a risky business.